This topic contains 8 replies, has 4 voices, and was last updated by Jonathan G. Nelson 4 years, 1 month ago. I did not want to post questions in your guide line sections you already have, so I made this one. If this is somewhere else, please move or delete. Now, my question for AaW in general, is this mostly Pathfinder based? I understand the big “explosion” of players out there in this system. I have been on line and read references from the Pathfinder site. I see some differences here and there from 3.5 but not enough to see the need to buy new rule books. I guess my question should be, how much conflict would there be developing 3.5 adventures? All our adventures are designed for BOTH 3.5 and Pathfinder despite the glaring similarities there are some differences. I’m not sure I understand your question. 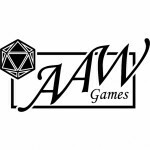 Are you asking if there’s a problem developing a 3.5 ONLY adventure to submit to AaW? Yes, I guess that would be it. I was not sure on how free designers could be going one or the other. Have you ever thought about doing 1E and 2E for the old school fans? I know a lot that wish they could still get supplements for those. You can always use pfsrd to look up Pathfinder rules and monsters. However, the books are very well done so I also recommend buying them. Yes, all adventures must be developed for BOTH 3.5 and Pathfinder. Our annual PATHMASTER contest is Pathfinder only. I am working on a Kingdom building set of adventures, making a lot of use of Ultimate Campaign/Game Mastery Guide. That wouldn’t require to be 3.5 converted would it for example?